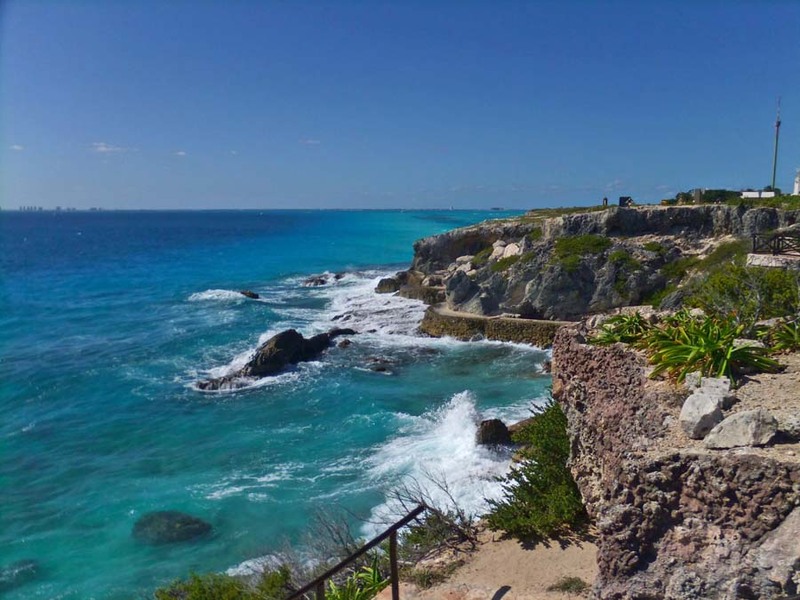 Things to do and See in Isla Mujeres. 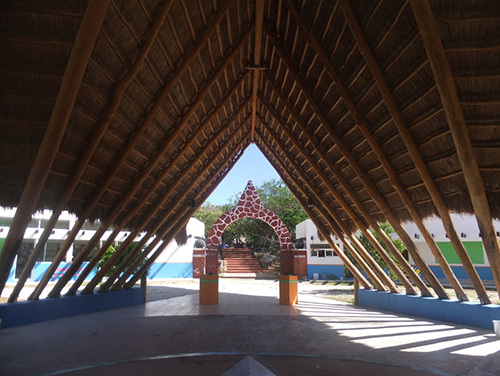 The Isla Mujeres Turtle Farm (Tortugranja) is located on Sac Bajo (North of Playa Paraiso). This is a government sponsored hatchery for endangered sea turtles. The turtles come to Isla Mujeres beaches in the summer to lay their eggs and the team at the Turtle Farm come to collect their eggs for their 60 day incubation period. If you’re lucky to be on Isla at the end of the summer you can take part in turtle releases held all over the island where they release thousands of baby turtles at a time. 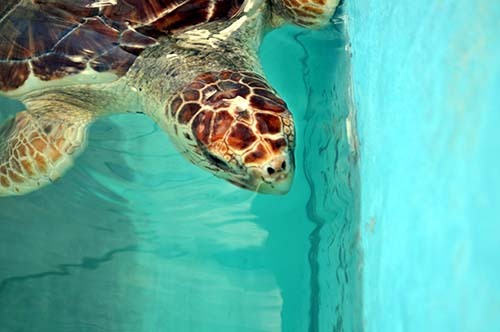 You can visit the Turtle farm year round to see turtles (young and old) in tanks as well as other marine life. Hacienda Mundaca, (Located on the road to Garrafon, 3.5 kilometers before Playa Lancheros and Playa Paraíso.) is a 19th century hacienda built by Caribbean pirate Fermin Mundaca. The hacienda includes walls, arches, exotic plants, gardens, birds breeding place, cattle and orchard. North Beach (Playa Norte) is 2014’s winner of both #1 beach in Mexico and #10 beach in the world by Trip Advisor. The stretch of beach that runs along the northern end of the island is called north beach. It has shallow waters and stunning white sand. The beach is full of fun restaurants and bars as well as several hotels. This is where the majority of travelers will spend their beach time so it can get crowded during peak season. Playa Sol. At the northwestern tip of the island and is the neighboring beach to Playa Norte. Playa Sol is the best location to watch the sunset and is usually a little less crowded than the neighboring beach. Although it is less crowded, the water is not as shallow and clear as Playa Norte. South Point is located at the southern tip of the island. There is a small ruin that was once a lighthouse and temple to Ixchel, goddess of fertility. There’s also a modern art sculpture park in the area as well. Free after 5 o’clock. Garafon Park. The southern side of the island lacks a sandy beach but offers snorkeling where fish are abound and the crystal clear water makes for an enjoyable swim. The reef that lies within the protective buoys has been severely damaged by storms and years of careless treatment by snorkelers, but a revamp of the park several years ago has created a healthier environment for the coral, and it thrives more with each passing year. Entrance to the park is expensive. A useful tip for those staying on the island is that you can snorkel in the waters adjacent to the Garrafon park for about $50 pesos, and the sea life is still pretty impressive. Dolphin Discovery. Located on the northwest side of the island on the Peninsula of Sac Bajo is Dolphin Discovery. It is a small amusement park allowing visitors to interact and swim with dolphins in an enclosed area. The park has a list of activities ranging from dolphins to other marine mammals. If traveling from Cancun, visitors can take a bus or taxi to Playa Langosta which is located at Boulevard Kukulcan Km. 5. It is between the Casa Maya Hotel and Vacation Club International. There, Dolphin Discovery representatives can check visitors in and direct them to a ferry which takes 40 minutes to get to the docking area of Dolphin Discovery. Scuba diving and snorkeling. The Manchones Reef begins just off of Isla’s shore and the Cuevones and Banderas Reefs are close by. The waters are calm and clear – perfect for the beginner as well as the advanced diver. With 50 accessible sites, Isla Mujeres is a great option and a little unknown with all the hype that Cozumel (its large neighboring island) gets. Those staying in Playa Norte may enjoying snorkeling in the lagoon next to the Avalon Hotel which has a respectable number of fish in an easily-accessible location. Cancun Underwater Museum is a series of sculptures by Jason deCaires Taylor placed underwater off the coast of Isla de Mujeres and Cancún, Mexico. 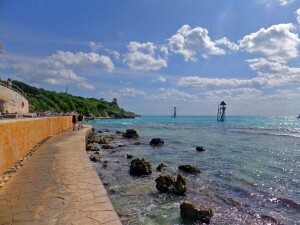 The project began in November 2009 with placement of a hundred statues in shallow waters of the Cancún National Marine Park, which had been previously damaged by storms. The sculptures are created with pH-neutral marine concrete and are based on members of the local community. 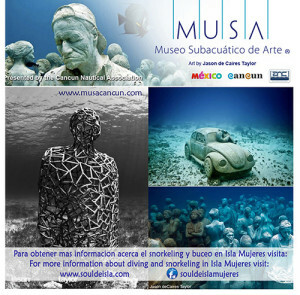 The artist planned the sculptures as artificial reefs with fire coralplanted in the initial sculptures. A total of 400 sculptures are planned, to be installed by the end of 2010. Snorkeleres, scuba divers, and tourists in glass-bottom boats all visit the underwater installation. Go Fishing. One does not need to shell out the large sums of money to go sport fishing on Isla. Just talk to the local hotel/guesthouse employee and they can set you up with a local fisherman who will take you out fishing. Prices are about $40/person for 3-4 hours of fishing. Whatever fish you catch, you can take to a local restaurant and theywill prepare the fish however you like. Whale Shark Tours. From mid-May through September hundreds of whale sharks gather in the waters near Isla Mujeres, with peak season in July and August. Trips can be booked anywhere on the island, but official operators who have agreed to uphold certain standards and implement safety measures to protect the sharks operate mostly out of dive shops and charge a set price of $125 (2011) with possible discounts available for multiple trips. Tours will generally include breakfast, snorkeling gear, 8-10 people per boat, a 45-60 minute trip out to the whale shark area, and then 3-4 trips in the water with the sharks for 2-15 minutes each time, depending on the number of sharks (more sharks, more time in the water). The return trip includes lunch, ceviche, and a snorkel at a local reef. Joysxee Yland is the name of two floating artificial islands in Mexico built by British artist Richart “Rishi” Sowa. The first was destroyed by a hurricane in 2005; the second has been open for tours since 2008. Spiral Island has been featured in a number of newspapers and TV documentaries around the world, including inJapan and South Korea, and has been featured an episode of the Ripley’s Believe It or Not!, and on the MTV program Extreme Cribs in 2011. You can visit Spiral island in Sac Bajo. Beach Volleyball. 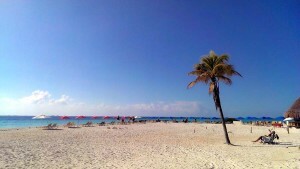 Isla Mujeres has several fine stretches of beach. 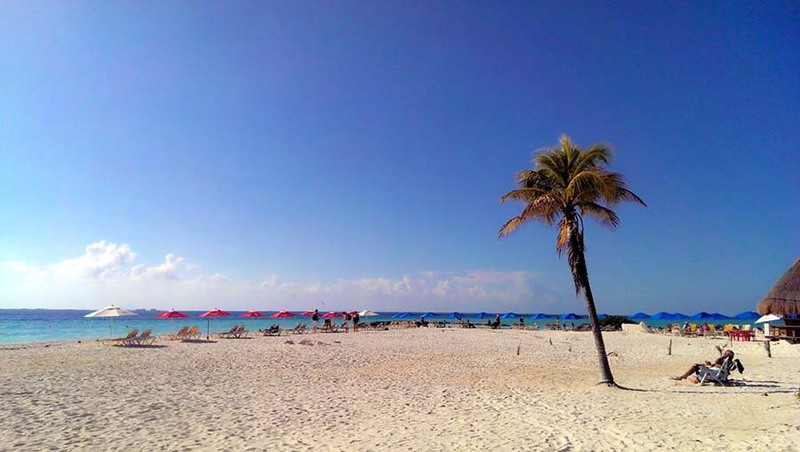 The northern end of the island is Playa Norte which has a wide swatch of sand that is lined with palm trees and also a few beachfront restaurants and bars. The soft white sand and level beach area make for an ideal beach volleyball court. The main volleyball-playing area on Playa Norte in front of Buho’s swing bar has recently returned. It has been a previous victim to changing tides and a diminishing beach, which locals attribute to the moving of sand from to build back Wilma-damaged Cancun’s beaches. You can also check out the hostel Poc Na which usually has a game on in the later afternoons. 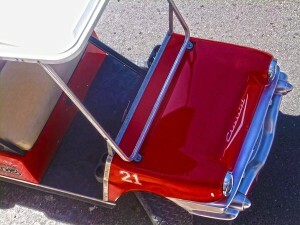 Isla Mujeres Golf Cart Rentals are the best way to see the island, alternatively you can also rent scooters & bikes. Because most folks don’t venture outside the tourist area they don’t find the eastern or southern coasts with their own tucked away private beaches or the other areas on the island that have great food and activities. You can rent a golf cart for $50 for 24 hours, and official prices for mopeds are $25 for a day (2011). Restaurants Hidalgo Street is full of restaurants catering to the tourist crowd and tends to be the most lively and also the priciest, while the central portion of the island is where the locals tend to eat and has slightly lower prices. Beach restaurants are also plentiful, with options near the ferry terminal being more lively while those on Playa Norte and other beaches featuring a more relaxed atmosphere. Fish is fresh and bountiful, and dishes like ceviche are popular and delicious. A signature island dish is Tik-n-chik, which is a whole fish marinated in achiote and grilled. Dining options include everything from an exquisite lobster dinner to a slice of pizza. Some of the best food on the island comes from carts: taco stands and vendors selling corn on the cob and tamales in the town square. Nightlife. Isla’s nightlife is a lot more laid back then Cancun’s but there are still good options. The livelier nightlife seems to be found on Hidalgo Street, while the beach bars are more relaxed. 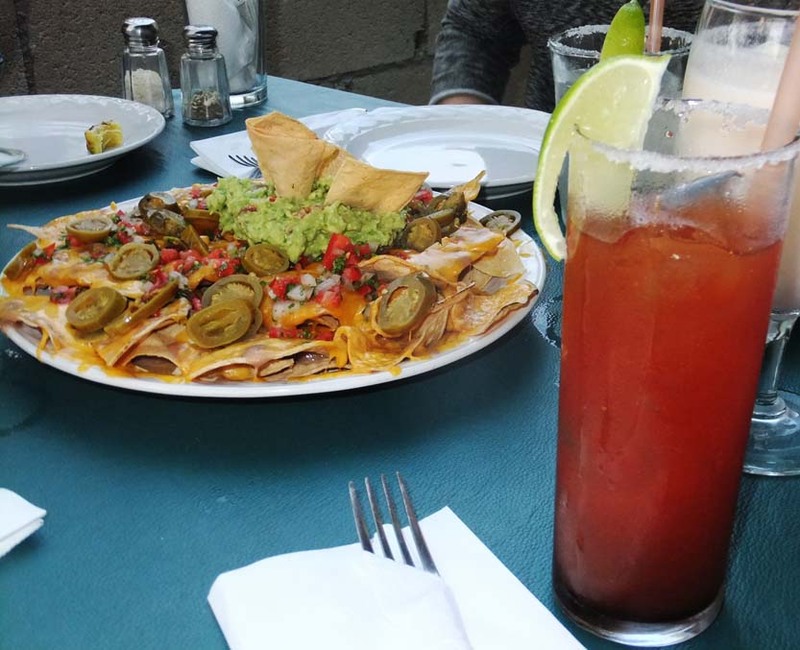 Also, like all beach towns in Mexico, it is usually “Happy Hour” Try a michelada, which is a beer mixed with fresh lime juice and a variety of other sauces – the perfect delicious island drink. If you want a dosage of Cancun nightlife, jump on an express ferry heading to Cancun in the evening, party the night away and take the first ferry back to Isla at 5AM. Shopping You have the typical items available for purchase (blankets, jewelery, stone carvings, pipes). Silver is the item to look for and good prices can be found, especially if buying in quantity. There are also a few boutiques with clothing and jewellery. The majority of shops and restaurants accept the US dollar but may give you your change in pesos.